I have said it before, I will say it again, these people are beyond parody. Convert Your Neighbor's Nine-year-old to the Troof! Remember to drop flyers, stickers, and DVDs into Trick or Treater's bags tonight! 911 Truth, North American Union, Ron Paul, whatever the topic, we can reach hundreds of thousands of people tonight with very little effort. Some (well-deserved) profanity directed at Barrett; no doubt his mental scaffold is even more crowded than before this appearance. Turns out that plea was more successful than Andrew Meyer's prior request. A University of Florida student who was shocked with a Taser after persistently questioning Sen. John Kerry won't face criminal charges and has apologized for his actions, his attorney said Tuesday. "I'm so sorry that I lost my control in that auditorium," he wrote. "I went there to ask an important question. The question of voter disenfranchisement in America cuts to the heart of our democracy, and my failure to act calmly resulted in this important town forum ending without the discourse intended. For that, I am truly sorry." But in my normal tradition I have to cite at least one quote from this idiocy-fest, at least to provide the potential for a nominee for a Stundie on JREF (I know, I will never beat clunkity-clunk). This week's idiot is Jerry Leaphart, who unbelievably makes Judy Wood look like the intelligent one, while discussing why the rubble pile at ground zero was not high enough. And then the conventional wisdom also seeks to implant the idea that the sub-basement was so damaged and so filled with debris, and since the sub-basement was 6 levels that lo and behold, and voila, you have your 12 story rubble pile. But you know, even in making the assumptions in the light that is most favorable to the conventional wisdom in my view it still fails. Because the underlying assumption that the piles should be 12 stories tall only applies in the instance where you assume there was one tower. Hello, there were two 110 story towers there! Therefore, you should have two separate 12 story, or 6 story piles, but more likely, since the buildings were so close one to the other, you should really have a 20 story high rubble pile. Is Ron Paul a CIA Spook? One of the immutable rules of conspiracy theorists is that everyone gets accused of being a government agent at one point or another. Now it is Ron Paul's turn, as the anti-Semitic site Ziopedia turns its sights on the Man Who Would Save America. Every day, I am being bombarded with articles and videos on Rep. Ron Paul. The message is always the same: Ron Paul is the only genuine alternative in the next presidential election and the ruling elite is trying really hard to stop him. Like everybody else, I so wish this was true, but given his actions he is far more likely a plant by the ruling elite in an effort to funnel discontent amongst American voters. Just think about it: Ron Paul and his political advisers are always at pains not to criticise the Jewish lobby. After some preliminary flirts with the 9-11 Truth movement, an effective means of boosting his credentials in the dissident media scene, he now pushes again the old CIA lie, also promoted by Walt-Mearsheimer, that America’s foreign policies are the cause of the 9-11 attacks. I’m still speechless that most of my fellow dissidents take anything coming from a Harvard professor at face value, a university founded with money earned in the bloody slave trade and stacked with Zionazis such as Alan Dershovitz, and ‘let’s export more American jobs to China’ Gregory Mankiw. All those two heroes of the dissident movement had to do is to confirm a couple of our views on the undue influence of the Jewish lobby on American politics, and we immediately started treating their words like Gospel. With Ron Paul things aren’t any better. What has he done to earn our trust? Voted against the Iraq war? Big thing. Ron Paul is an olden days ‘small state, small taxes’ man. He votes against pretty much anything that costs money, including social security and medicare. This is not the place to discuss the merits of food vouchers for single mums. All I’m saying is that he has some extreme views on spending tax payers money and that’s where his stance on the Iraq war is coming from. What made Ron Paul really popular though is his temporary flirt with 9-11 truth. Very clever move! More than half of U.S. citizens believe that the government hasn’t said the truth about what really happened, and more than one third of them believe that their own government was behind the attacks. What a clever move – both from a public relations and a dissent control point of view - to dabble temporarily into 9-11 truthing and then channel all that political energy into a harmless position such as ‘it’s our foreign policy’s fault.’ Classic gatekeeping!!! Is Alex Jones a LaRouche Kook? "It is important to add that the President is merely a puppet of the global crime syndicate and may not use the new powers, but simply pass them on for use by future puppet administrations." The clear inference is that Queen Elizabeth is part of the global crime syndicate. Alex is hinting she may be running a puppet administration in Washington. This is of course LaRouche writ large. Now that is just plain weird, and it's weird in a Lyndon LaRouche way. LaRouche has always had a fixation on the British royalty, as is well-documented, claiming that Queen Elizabeth heads up the international drug trade. Now, just as it is dawning on Truthers that LaRouche is inside the house, Alex Jones puts out this obvious appeal to the LaRouche kooks. Update: Good backgrounder on the LaRouche Movement here. Hat tip to commenter James Cooper. Sibel Edmonds to Tell All! All they've gotta do is get her on national TV, live and unedited. Yawn. Remember, Sibel was hired after 9-11. She claims to have huge 9-11 relevations, but I suspect she's just stroking everybody along to keep her name in the news. I guarantee you, if she does tell "all", the Troofers will all be moaning, "That's it?" Hat Tip: Allahpundit, who has some excellent thoughts on this. It seems to me that the "9/11 Truth Movement" is, as with "Creation science" or global warming denial, a sort of Special Olympics for people with much more desire than ability to engage in insightful discussion of profound matters. Adding to his son Charlie (who will not be narrating Loose Change 4.0 evidently) Alex Jones is now announcing that actor and long-time political activist Martin Sheen is now coming out for the troof. Actor Martin Sheen questioned the collapse of the WTC twin towers as well as Building 7 and NORAD's response to the 9/11 attacks during an anti-war march this past weekend in Los Angeles. Is always welcomed. Alex Floum suggests that the "Truth" movement hire a debunker away from our New World Order overlords. 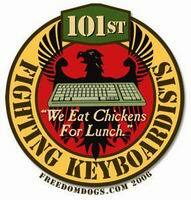 It occurs to me that one of the best ways to counter the 101st Fighting Keyboardists and similar folks is to pay them more and hire them away. If we pay 'em more, and given that 9/11 truth activism is incredibly exciting, maybe they'll work for the good guys. (Dylan Dough designed by Mark (Gravy) Roberts). Check out the comments section on this post over at the Huffpo; there are over 1,500 comments so far, many of them from the fruitcakes repeating the same nonsense about Marvin Bush and the size of the hole in the Pentagon. He knows it was an inside job. So then what to do ? Clinton is also intelligent enough to know that he simply cannot come out and say that "911 Was an inside job". Therefore he does the next best thing. In fact, the ONLY thing he can do. That is: He will address the topic seemingly "wholeheartedly" as he did above, he will purposely act sheepish, flustered during this question. All this for one simple reason. It is the only manner in which he can reveal to the US public that 911 was an inside job. How long before he's listed at "Patriots Question 9-11?" Allah on Hot Air has a post asking whether the founder of Neo-Nazi (and occasional conspiracy theorist) site Storm Front donated money to the Ron Paul campaign. He points out that he would not be the only wacko giving him money though. The maximum no less. I guess paranoia pays. The Minnesota We Are Idiots post video of them taking on Bill Clinton, interrupting his speech asking about 9/11, the Bohemian Club and the Bilderberg Group to jeers from the crowd. As Pat mentioned previously, the former President handles himself quite well. 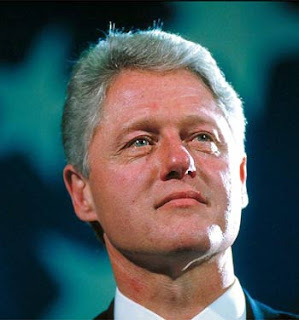 Just how twisted is your world view when Bill Clinton somehow becomes a neo-conservative conspirator? Well, at least he doesn't support another investigation, even if it is for a paranoid reason. This is probably the most sensible way to blow off the Troofers for those who don't actually feel like engaging them; not acceptable for politicians but about the best we can expect out of leftist celebrities. This, sir, is another example of your irresponsible judgment. Considering you used the end of your Cooper Union hall speech to attack 9/11 activists as Cointelpro with no evidence worthy of a court of law, this wild call for various groups to "track down" and "isolate" individuals, is likely to result in irresponsible and dangerous witch hunts. Neither you, nor Actindependent.org have the faintest understanding of how Cointelpro worked if you believe tracking down individuals you don't is going to stop the actions of a present day reincarnation of the organization. This, sir, is a thinly veiled call to attack persons you and those who support you disagree with. We can no longer be responsible for the out come of these ill conceived words. Of course, the problem with a canning like this is that it has no effect. 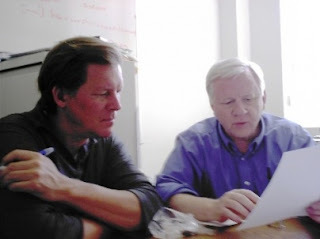 I'm sure that 90% of the 9-11 Troof movement would like to fire Uncle Fetzer as a leader, and yet there he is, representing the kooks in virtually every TV program on the topic. You may recall the power down at the WTC claim from Loose Change and 9-11 Mysteries; this video does an excellent job of debunking that claim. Hat Tip: Regular commenter Old Tiger Cub (at JREF). That thread also includes photos of tickets for the observation deck in the South Tower for 9/8/01, one of the dates that Scott Forbes claims that power was out in that building. "An inside job? How dare you. How dare you. 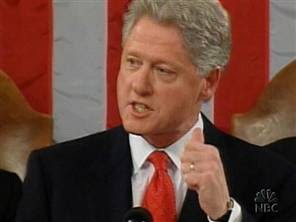 It was not an inside job," Clinton said. "You guys have got to be careful, you're going to give Minnesota a bad reputation." Our kudos to the former president for passing his 9-11 Troof test with an A! I imagine some video will be available of this eventually. Such claims, and their eager acceptance among fringe elements of Western conspiracy thinkers, especially those who already believed in the Protocols of the Elders of Zion, should not astonish observers. Like so many other such conspiracies, they combine “cui bono?” [who benefits?] – Israel, Fascists in the US government – with a semiotic arousal that moves from perceived anomaly — isn’t this strange! — to “obvious” conclusion — what else could explain this? — in the blink of an eye. Among the plethora of Muslim conspiracies that blossomed in the wake of 9-11, perhaps the most scholarly and consequential came from the “progressive” Nafeez Mossadeq Ahmed, The War on Freedom which came out within months of the event in February 2002 and blamed not Israel, but the US Government. I'm shocked, shocked by this demonstration of clear photo fakery by our old buddy Boloboffin, a Democratic Underground 9-11 CT Debunker. Okay, just kidding. I'm actually amused at this effort by a DU conspiracy theorist. Oooh, look, two different photos of a guy and the face is almost exactly the same in both photos! Neeneenoonee! The truthers keep on attacking us for bringing up Holocaust denial and the 9/11 "truth" movement, but it is not our fault that the links keep on popping up. The same twisted imagination, contempt for history and logic that allow you to believe that Auschwitz was a "caring place" (in Eric William's words) lead you to believe that the Jews/NWO/Bilderbergers secretly carried out 9/11. Here is another example from Alfons, the founder of Veterans for 9/11 Truth, that elite organization which counts among its members Lauro Chavez, Guy Razer and Donn de Grand Pre (also a Holocaust denier no less). Now they are saying that the 9/11 truthers are Holocaust deniers. I don't have any problem with people who do research into the Holocaust and find out that the story isn't true. There is a whole bunch of things surrounding 9/11, I mean World War II, and the history of it, the history of World War II, there is a whole bunch of things that are covered up and not right. Uhh, sorry Alfons, the story is true, and I have a problem with that. What Movie Inspired This Nuttitorial? And here I thought it was perpetrated by the Israelis. Of course, "never happened" is a gross mischaracterization. The first Gulf of Tonkin incident did happen; it was the second that is questioned today. Perhaps now, as the true nature of these events is finally beginning to be a matter of public awareness, a new Sept. 11, 2001, investigation can be demanded and completed by special, nonpartisan prosecutors. Let the cards fall where they may, answering all questions and corroborating all evidence without the ubiquitous gaps and deletions of the 9/11 commission. It is time we follow and trace the direct line from these institutions to others, namely the Federal Reserve which, contrary to popular understanding, is a private bank and not at all a federal agency. This is the same Federal Reserve that prints dollars and loans them to the government at interest to pay for these wars and then it is repaid with our tax dollars. This guy knows as much about the Fed as Tom Foti does, and no, that is not a compliment. ln a sidenote to the troofer wars we have been discussing between the Webster Tarpley led Kennebunkport Warning group, and... well... just about everyone else as far as I can tell, old Web is now putting out warnings of government counter intelligence campaigns against them. Now just our government, apparently all of them! It has come to our attention that certain scurrilous, obscene, abusive, harassing, and threatening emails, blog postings, and videos are being fabricated, circulated, sent, and posted on the internet by anonymous provocateurs who are evidently working for the pro-Cheney factions of the US intelligence community. An effort is being made in some quarters to falsely attribute these faked and counterfeit postings, emails, and videos to Webster G. Tarpley, Bruce Marshall, Captain Eric May, and to other persons sympathetic to the Philadelphia Platform and/or the Kennebunkport Warning. Any such attempted attribution is a lie. Actindependent.org and its supporters, including but not limited to the persons named, have no responsibility for these items, and repudiate and condemn them in every way. 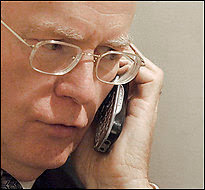 The internet items in question represent the dirty tricks, provocations, and poison pen sabotage and disruption tactics associated with a world-wide chaos and confusion campaign of cointelpro orchestrated by the Cheney faction as we approach a possible US attack on Iran, Syria and other countries. Anyone who gives credence to these counterfeit items or is responsible for spreading or publicizing them is either a conscious stooge for Cheney, or else is stupidly playing into the hands of the Cheney war faction at a most critical time. The goal of this crude campaign of low-grade internet fakes, forgeries, and slanders is to sow dissension, fear, conflict, and hysteria so as to prevent the emergence of a unified mass resistance to the Cheney war party and its Democratic Party backers. Actindependent.org is in the process of tracking down and analyzing a global pattern of coordinated cointelpro deployments in Australia, Canada, Austria, and Germany, in addition to the United States. Actindependent.org calls on all anti-war, impeachment, anti-globalization, 9/11 truth, civil liberties, honest vote count, labor, civil rights, ethnic minority, and other groups and persons of good will everywhere to help identify, denounce, expose, and isolate the anonymous provocateurs who are behind this campaign of falsification and harassment. Yeah, I am sure Webster Tarpley is so important he has an entire department at Langley dedicated to him, much less at the Austrian intelligence service (does Austria even have one?). I have just one question though, what could you possibly do to make Eric May look any more insane than he already does? James posted a little below the video where Glenn Beck compares the Troofers to Timothy McVeigh. I have commented in the past about how the more radical contingent, like the We Are Change WACs, remind me of the Weather Underground. As they marginalize themselves more and more with their ridiculous claims and increasingly outrageous behavior, I'm afraid we can expect to see more and more desperate and extreme attention-seeking behavior. That's the pattern of the kind of narcissistic mindset which drives conspiracy fanatics. It's even believable that in the ultimate irony, as they retreat into a world of paranoia and frustration, the 9/11 conspiracy fanatics might themselves turn to violent terrorism to get the attention they so desperately crave. It's easy to laugh at the conspiracists, but it's a grim truth that someone protesting Bill Maher this week might be the next Timothy McVeigh or Ted Kaczynski a few frustrated and ignored years down the road. Christopher Bollyn is back, and not letting his status as an on-the-run felon interfere with his position as the 9/11 "truth" movement's leading investigative journalist. In this in-depth report titled "The Planes of 9-11", he comes to the conclusion (surprise) that the Jews did it. Most of this stuff is pretty offensive, but I was amused once again by this bit. There are many observations about these planes which suggest they were not the civilian airliners they are said to have been. The plane that struck the South Tower, for example, had shapes, bulges, and holes which have led many analysts to believe it was a Boeing 767-300 refueling tanker that had been disguised as a 767-200 United Airlines passenger jet. I have seen this theory mentioned at one time or another by just about every major figure in the troof movement. Apparently it has never occurred to them to do any research to find out just how many 767 refuelers (known as KC-767s) were in existence in 2001. The answer is none, since the first one was not produced until 2005 for the Italian Air Force. Glenn Beck comments on the Bill Maher troofer hecklers. Hint, he doesn't like them very much. He has on as guests uber-skeptic Dr. Michael Shermer and James Meigs from Popular Mechanics. Distribution of the film will be done directly through the Loose Change site, through Prison Planet (Alex Jones), and through Joining the Dots TV (Mercury Media in the UK). Digital versions will retail for $6.95, and the DVD will be $19.95. They also pump up their charitable side. Louder Than Words remains committed to the truth and will be donating 10% of profits to such organizations as The Feal Good Foundation. Join us in making a difference and pushing for a real 9/11 investigation! Considering they have been asking for donations, I am curious how they are going to figure out what is profit. Especially after they deduct Jason's new ATV and Plasma TV. They earlier promised they would donate more than the filmmakers of United 93. Well at 10%, they would have to book receipts well into the tens of millions to do that. Not very likely. Dylan has said that the word he expected everybody to be saying about the Loose Change the Final Insult is "mature". Well, if the movie's anything like this trailer, he may just get his wish. Of course, this is not a Looser than Words production. Highly recommended. Now excuse me while I grab a corndog at the snack bar! All I'm going to say is this movie has cost us six figures to make. Lucus: It cost Sophia $120K to make 9/11 Mysteries so I hope she gets that back soon in the chain sales. StopSnitchin: no offense, but sum1 overcharged her, the original loose change only cost like 2,000 (correct me if i'm wrong) and in my opinion it was much better than 9/11 mysteries..... what cost her so much ??? Lucus: All the video footage so she could make hi-res DVDs. She used the same footage everyone else uses. From whoever set up this blog. I don't know if it's really somebody from our "side", or a false-flag attack, but it's sick and it's stupid, especially this week. Update: I've taken down the link. The more I think about this the more disturbed I am by the episode. You can find a link to the blog in question over at Jenny's response post over at 9-11 Blogger. That's quite a ringing endorsement, Jenny! BTW, the reference to "especially this week" comes because it was the week of the Virginia Tech shootings. What baffles me is they believe everything Nico says---and violated their blogger terms of service over it. It doesn't matter that they're wrong--all that matters is they are CLAIMING to expose SOMEONES personal info. Revealing someone's name is not a violation of Blogger's Terms of Service. It includes several mentions of our colleague and local community activist Jo Cressy, with her email address and photos. The video in question can be seen here (warning; it is absolutely nutty). Given that Petros Evdokas clearly knows Jo Cressy and associates her with the photos we've seen in the past of Jenny Sparks, I don't think it's much of a logical leap to assume that the identification is correct. Well, it took awhile, but somebody's finally responded to Mikey Metz's blog post denouncing the 9-11 Truth Movement. Of course, it's the usual Troofer stew of mistakes, lies and logical leaps. There are reasons to doubt the hijacker story. I remain agnostic on this question of whether they did it, but I can see both sides. 1) The identities are in doubt, yet the government refused to correct them, or to admit they were unsure. 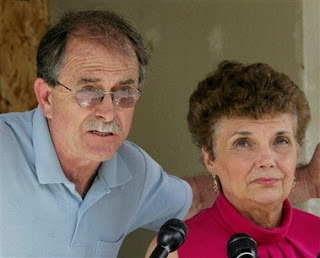 People whose photos appeared as the FBI's hijackers turned up alive. This is very strange. 2) The Pentagon plane maneuver could not have been performed by the pilot the government says was in control. Thus say numerous professional pilots. This is a discrepancy. The Pentagon plane is highly suspicous for many reason (which I don't see you acknowledging). As we discussed last year, a Dutch TV program testing the 9-11 Conspiracy theories featured the host attempting to hit the Pentagon in a flight simulator. Despite not having anywhere near Hani Hanjour's experience level, the host was able to hit the target three times in as many attempts. 3) There has been no proof shown to the public that the men the government say did it actually got on the plane. Where are the airport videos, with time codes? He might as well ask, where is the video from the plane itself. Surely there is a photo of Mohamed Atta being greeted by the flight attendants? The simple fact is that there were not security cameras filming people boarding their planes. As far as I know, these cameras do not exist even today. 4) This plot was known about by US intelligence before the fact, and that makes it even more suspicious. If it was indeed an "inside job" then Cheney/Rumsfeld et al. would probably not leave it up to suicide hijackers to determine the outcome. Of course, no evidence is provided that "this plot was known about by US intelligence", and that's a might big "if". 5) There are other ways to hijack a plane, remotely using the plane's onboard flight control system. According to Captain Sherlock, you mean? There was a lot of planted evidence that seemed to implicate radical Muslims. FBI investigators complained about it. Planted evidence and hidden evidence are not very confidence building. Yes, there is no link to show that FBI investigators complained about "planted" evidence. 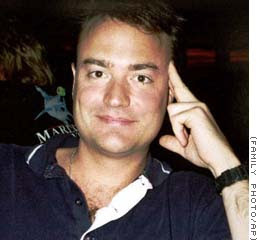 The black boxes of the planes at the WTC were recovered by fireman Nicholas Demassi. The FBI claims they were never found. We have no data, to date, from those black boxes. The claim that the black boxes were found comes from this article. Of course, Bellone is a phony fireman as we have discussed in the past. Michael Bellone, the self-proclaimed "honorary New York firefighter," who spoke to 100-200 people at Concordia University about the events of 9-11 is a "fraud," according to New York Fire Marshal Conrad Tinney. "It wasn't until two years later that we began getting complaints about him," Tinney said. "We have one honorary firefighter and that is a child from the Make-A-Wish Foundation. Aside from the child, it is normally the chiefs and those above who are made honorary firefighters and he (Bellone) isn't one. He's saying he was made an honorary firefighter by New York Fire Commissioner Nicholas Scoppetta. That's a fallacy." The previously announced Internet release date for Loose Change version 4 is now apparently "official". The film will first be available online as a digital media download at PrisonPlanet.com, Infowars.com and LooseChange911.com on November 11th, and orders will be taken for the DVD that same day before being shipped out on November 26th. With spin like this though, they should seriously consider a career in politics. The film will be subject to selected cinematic release in 2008, but many grassroots and selected theatres have already agreed to pick up the movie from December onwards across the U.S and Europe and the Loose Change team are encouraging activists to ask that their local theatre to screen the documentary. "Many of you have asked us about a mainstream theater release and are aware that we spent considerable time in Hollywood negotiating with different producers," reads the Loose Change press release. "After many weeks of consideration, we decided that a Hollywood release just isn't right for Loose Change. In order to access the normal "big movie" distribution channels, we would have to relinquish editorial control of the film. This just wasn't an option for us, as the integrity of our message is ultimately all that we have, and we feared that "the machine" would corrupt or squash our film and its movement." "We have decided to challenge the traditional marketing channels and reinvent the way that films are distributed," it adds. Yeah, otherwise, you couldn't get anyone to stand behind your crappy film, despite your promises of 3,000 screens and a $20 million budget, so you had to stick with your usual Google video solution. I loved the optimistic ending though. The release of Final Cut will no doubt be met with a fresh offensive of Neo-Con attack propaganda and attempted debunking, but with polls showing an increasing amount of people having grave concerns about the official 9/11 story, its arrival will herald a new leap forward for the 9/11 truth movement and signify the next step in educating the world about what really happened on September 11, 2001. An increasing amount of people? That would be 4.6% in your latest poll. Heck, last year you were claiming 84%! Yet another example of the idiocy of the Paultards. To give a little background, there is a MySpace page for a new Holocaust Denial film called "El Gran Tabu", aka the Great Taboo by longtime Holocaust fruitcake Bradley Smith. El Gran Tabu has 1,426 friends as of today. MySpace allows people to add friends either by having the friends request to be added, or by having the friends accept your request to add them. Among El Gran Tabu's friends is a MySpace page called "Ron Paul 2008". Now, this is not the official Ron Paul MySpace page, but apparently one put up by a fan. But that Ron Paul MySpace Page has its own friends list, and the #1 friend shown there is the official Ron Paul MySpace page. So a Ron Paul supporter is a friend of a Holocaust-denying film and Ron Paul's campaign is a friend of that Ron Paul supporter. Yes, I am aware that the campaign probably accepts any friends who request to be added, but it shows the downside of that policy. Erin (almost certainly Erin Myers, who appeared in the History Channel Special on the kooks). 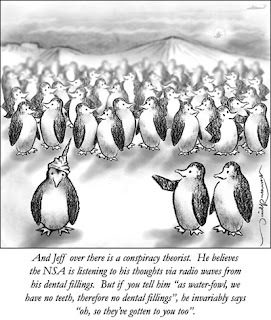 Hat Tip: Nick Terry at JREF. Discussion of this video here. Nico says he's not dog4tree and I believe him. This seems like his style, but just a bit too polished an attempt to look like something he'd produce. Sigh. Sometimes I feel like the equivalent of an announcer at the Special Olympics chess competition. Kevin "Hang em High" Barrett has kicked off his wheretheylive.org site by posting the addresses of several officers involved in the "Don't taze me bro!" incident, along with a request for more info for their own version of vigilante justice. I have removed their addresses, but obviously Barrett will continue to post them. Perhaps he should rename his organization, "Stalkers for 9/11 Truth". Guy Fawkes Day Fundraiser for Paul? Sheesh, is this a "coded" appeal to Troofers or what? Not sure this is affiliated with the campaign directly, but the use of the V for Vendetta character certainly indicates that it's aimed squarely at the nutbars. Does anyone know if America’s Greatest Patriot has formally distanced himself yet from any of the myriad kooks and cretins that have attached themselves to his hull? If he did, he'd be able to hold his campaign rallies in a phone booth. This is almost like Loose Change 2; it's a veritable treasure hunt of mistakes, gaffes, distortions and outright lies. The third steel-frame tower to ever fall, Tower 7, wasn’t hit by a plane, only some scattered debris. The fires in it were put out by the firemen. But the owner of Tower 7, Lucky Larry Silverstein, decided at 3:30 pm that there had been “such pain and suffering” that he decided to have it “pulled,” which is the pro’s term for controlled internal demolition. And so, at about 5:30 pm, hardly two hours later, Tower 7 went boom, boom, boom, boom, boom and so on, down neatly into its footprint. And Lucky Larry made $500 million on the insurance, not to mention the billions in insurance on the lease he and his partners, among them the Blackstone Group, held for the WTC; the insurance that was raised by them a month before the attack to $3.5 billion and to include attack by terrorists. Subsequently, Larry asked for $7.1 billion back because it was two hits. But he and his pals had to settle for about $4.5 billion, poor babies. Actually, the way that Kevin McPadden described it was "Babooom!" Repeatedly. Only the fruitcakes could make Bill Maher, Sheila Jackson Lee, and Chris Mathews look like Bush defenders. Last year I mentioned that I had read Charlie Wilson's War, which chronicled the CIA support for the war against the Soviets in Afghanistan (hint: it doesn't involve Osama bin Laden). Now a trailer has been released for the movie version, starring Tom Hanks and Julia Roberts, so those of you who haven't managed to read it will soon be able to enjoy it. How long before they are denounced as government shills? One thing that continually amazes me about the truthers is that they continue to lie and misrepresent things, even when they don't really need to. I guess they are so fixated on their goal of defeating their supposed enemies, that the ends really matter, not the means. One example is this post on 911 Blogger regarding a speech Paul Wolfowitz made to a West Point class in June 2001, under the headline, "101 Days Before 9/11: Paul Wolfowitz Hints At Our Future And His"
"This year marks the sixtieth anniversary of a military disaster whose name has become synonymous with surprise - the attack on Pearl Harbor ... military history is full of surprises ... Surprise happens so often that it’s surprising that we’re still surprised by it ... At the beginning of the last century, the British economist Norman Angell published a runaway best seller ... his book, The Great Illusion. International finance, he argued, had become so interdependent and so interwoven with trade and industry that it had rendered war unprofitable ... 'Before you leave the Army … you will be engaged in another war.'" The implication being that Wolfowitz had some sort of inside knowledge of the cadets being "engaged in another war". A century ago, on a peaceful day in 1903, with great foresight, Secretary of War Elihu Root told Douglas MacArthur’s graduating class, "Before you leave the Army…you will be engaged in another war. It is bound to come, and will come. Prepare your country." Now Wolfowitz does go on to say that "One day, you too you will be tested in combat", but this is hardly an ominous prediction, on the contrary it is something we would expect an assistant Secretary of Defense to say, especially given the numerous times that Army soldiers have found themselves in combat situations over the previous twenty years, Panama, Desert Storm and Somalia coming to mind immediately. "He swarmed us. I had the opportunity to stop Dutch, real quick and real brief. You know I'm really fast," Brown says in the recording. "I'm not going to hurt anybody, and I don't want to hurt anybody. On the same token, I let it go down and let it happen. But I did not expect this." Yet another example of the Keystone Crooks nature of the Patriot movement. We talked earlier about how one of the We Are Change WACs, crashed their SUV while running errands for them. It's also reminiscent of Dylan's Secret Agent man trip to NEADS, which resulted in Korey's arrest for desertion. I'll admit it; on it's face this looks more like New York City politics than medical reasoning. James Zadroga, the 34-year-old retired police detective who died of respiratory failure after working hundreds of hours at the World Trade Center site, was often cited by those advocates as a "sentinel case" — the first health-related casualty linked to ground zero, suggesting there would be more to follow. The city's medical examiner stunned that community this week in a letter declaring that Zadroga's death had nothing to do with the toxic air he breathed while working at ground zero. "It is our unequivocal opinion, with certainty beyond doubt, that the foreign material in your son's lungs did not get there as the result of inhaling dust at the World Trade Center or elsewhere," said the letter to Zadroga's father. It was signed by Hirsch and another medical examiner, Michele Slone. The letter was obtained Thursday by The Associated Press. I am reasonably sure they must have some evidence backing up that opinion; let's see it, and let's see if the family can get a medical expert who disputes that evidence. I am not going to say reflexively that the decision is wrong. It certainly deserves more explanation. Update: Our buddy Hey Nonny in the comments points out that Zadroga died of black lung disease and mercury on the brain. Confirmation here. Detective James Zadroga was one of the first responders to the World Trade Center. He was inside 7 World Trade Center when it began to collapse. Hat Tip: Sword of Truth (at JREF). Lord only knows what he was thinking with this post. Okay, now I'm starting to enjoy the Ed Brown affair. Alex Jones reports the latest from poor Ed. In a disturbing audio clip, Ed Brown speaks for the first time since his arrest and relates how he was gassed by noxious fumes for three days in a detention center as well as being put in a deprivation tank for 15 hours. For the first time, Brown reveals what happened when he was tricked and arrested by U.S. Marshals, including how he was tasered multiple times. And each time he yelled, "Don't tase me, bro! What did I do?" Brown said his captors were treating him with "professional cruelty" and mentioned that they had also done harrowing things to his wife following her arrest, but refused to go into detail. Yes, Ed, please spare us the details. According to unnamed military sources contacted by The Iconoclast, SFC Buswell "used his Government issued email account to send messages disloyal to the United States …" Because of these statements, SFC Buswell could soon find himself dishonorably discharged, court martialed, or worse. I say Occums (sic) razor is the best way to deduce this ‘day of infamy’; if you weigh all options, do some simple studying you will see 911 was clearly not executed by some arabs in caves with cell phones and 3 day old newspapers! I mean how are Arabs benefiting from pulling off 911? They have more war, more death and dismal conditions, so, how did 911 benefit them? Answer: It didn’t. So, who benefited from 9-11? The answer is sad, but simple; The Military Industial [sic] Complex. Lord only knows what he means by "cellphones and 3 day old newspapers". I'll leave the discussion of whether he should be disciplined to those with military experience; certainly I anticipate that he will become something of a cause celebre among the kooks. I can absolutely understand why the military doesn't want him anymore. Hat Tip: Colossus of Rhodey, who has some interesting thoughts on the matter. Update: Yeah, the actual article is a year old; the blog post is as of today which is why I picked up on it. Not sure if there's really anything new here. Update II: Apparently there has been a resolution. Just How Stupid is David Ray Griffin? David Ray Griffin continues to show that he will stick with any myth, no matter how stupid. Yesterday he appeared on a radio show on KGNU (available here starting about 17 minutes in) doing his "Debunking 9/11 Debunking" bit. Amazingly, he still tries his air defenses at the Pentagon story, despite still having no evidence beyond his argument from personal incredulity. Incredibly he now even adds the claim that "many buildings" have air defenses. Oh really? Can I get some for my garage? Well, many buildings have missiles on them, anti-aircraft missiles. And the airspace that is over this triangle, that connects the White House and the Pentagon, is prohibited airspace. That means it is not only restricted, it is absolutely prohibited to any commercial aircraft. 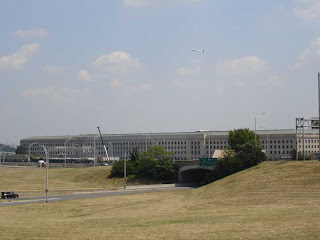 And so, you would know, and many people have said, that there are anti-aircraft missiles on the Pentagon, which are sensitive to any unfriendly transponders, and that would mean, only military planes are allowed to fly over there. And so if you had a commercial aircraft, it would automatically be shot down. So those would have had to have been turned off. About 35 minutes in "Harry from Toronto" (Cannuck in the comments) calls in and recommends people check out http://screwloosechange.blogspot.com/ (thanks for the mention). Griffin, of course, dismisses this blog as "absolutely ridiculous nonsense" (considering the source, probably best endorsement we have ever received) and suggests people check out the Architects and Engineers site. The whole exchange is excellent, but too long to transcribe, so I highly suggest you download the MP3 and listen to that part at least. There were some problems in the first two versions of Loose Change. Loose Change: Final Cut will be coming out pretty soon, I happen to be the script consultant for it and you won’t find the kinds of problems in it that can be picked apart and used to discredit the whole thing, the way you could in Loose Change 2. Kind of like people who support really bad football teams. Yeah, you just wait until next year! And finally Griffin makes another admission, that even after 5 books on the subject, and a 6th on the way, he still doesn't even bother to figure out what actually happened. I don’t get into these questions as to what really happened and develop a theory about it. My own focus is on the evidence that the official story is false. Yeah, we know that Dave. If you actually had to say what happened and defend your hypothesis, well, you know how ugly that would get. Apparently the airing of the Holocaust Denial film was canceled for good this time, but Adam Holland discovered that Campbell, the head of his local 9-11 "Truth" group, is apparently working in concert with neo-Nazis. I've made the disturbing discovery that Steve Campbell, the "9/11 truth activist" in question, is not only telecasting anti-Semitic material on his local public access station, but may, in fact, be working in concert with a neo-Nazi. The neo-Nazi in question, Mark Farrell distributes Nazi and racist videos through a company called "Honest Media Today" in Cincinnati. His oeuvre includes such blood libel propaganda as "Ritual Murder Revisited: The Hidden Cult" and "Human Sacrifice among the Fanatical Hasidic Jews and Other Cults from Ancient Times to the Present", as well as "The Truth about 9-11: How Jewish Manipulation Killed Thousands", "The Hitlerian Homily", and "Rep. Paul Findley Dares to Speak Out--Again--on DVD: A 22-Year Veteran U.S. Congressman Exposes Israel's Lobby". He also promotes material supporting Matt Hale, the racist leader convicted of soliciting the murder of a federal judge. 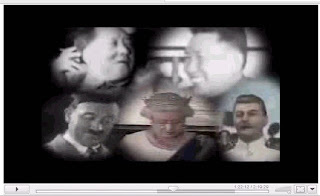 More to the point, Mark Farrell distributes "Judea Declares War on Germany", the Holocaust-denying, Protocols-promoting video (produced by the Adelaide Institute) that Steve Campbell wants to telecast to his neighbors in Colorado. I found the film, Judea Declares War Against Germany, available on Google Video. While every bit as odious as you might expect, it also is of startlingly poor quality. Maybe it's just the ready availability of the more recent footage, but any 9-11 Denial film that was as shoddily produced as this would never get any traction among the kooks. I still say the real story isn't that this Public Access TV station finally woke up to the crap that Steve Campbell was airing when he tried to slip a Holocaust Denial film past them. It's that they didn't wake up when he started airing 9-11 Denial films. Sigh. One of the things that never fails to annoy me about the Troofers is the old standbye, "No true Scotsman argument." Point out that Eric Hufschmid is an anti-semite, and a segment of the "Truth" movement will tell you that Eric Hufschmid is not a real "Truther". Point out the ridiculous claim that no plane hit the Pentagon, and a segment will say that no real Troofers, etc. And it's not entirely a dodge; we certainly know dyed-in-the-wool 9-11 Deniers who are not anti-semites and who accept that Flight 77 hit the Pentagon. But it does make it hard to accept this as a real movement. It's like the folks who like chocolate ice cream and the folks who hate chocolate ice cream getting together and saying they may disagree on flavors, but they're still the "ice cream" movement. That's how I feel about this essay. Chip Berlet is a leftist writer who opposes the 9/11 Truth movement. In my opinion, he raises valid objections to what he calls “conspiracism” (which he distinguishes from the kinds of conspiracies that are actually likely to exist). But he wrongly classifies, as full-blown “conspiracism,” the idea that 9/11 was an inside job. Thus he echoes what seems to be a key propaganda ploy on the part of those covering up major crimes by high-level people within the U.S. government, namely lumping the evidence for such crimes together with some truly wacky (and truly dangerous) ideas to create the stereotype of the nutty “conspiracy theorist.” Berlet also, apparently, either ignores or has not yet looked at some of the better evidence for government complicity in the attacks of 9/11. On the other hand, I also think that what Berlet calls “conspiracism” is a genuine and dangerous trap which too many people in both the 9/11 Truth movement and the anti-war movement have fallen into, and it would be wise to pay attention to critiques of same. That’s Bilderberg, not Bilderburg, and it’s not just a “banking group.” It’s a privately-organized, highly secretive off-the-record gathering of powerful people, both from the governments of many different countries and from large corporations of various kinds. (See Bilderberg: The ultimate conspiracy theory by Jonathan Duffy, Thursday, 3 June, 2004, on the BBC News site.) While it probably does not micromanage the world to the extent that many “conspiracists” believe, it certainly is a vehicle of multinational corporate influence on the governments of many different countries - and probably, in many cases, against the best interests of the general publics of those countries. But again, just because she does not believe in the Illuminati, we're supposed to ignore that lots of other people in the movement do? And we should not lump the Bilderberg conspiracy nutbars with the Illuminati fruitcakes and the CFR wackos? I'm trying to think of another group of people who disagree so vehemently on everything other than the name for their movement, and yet really constitute a movement. Is there significant fragmentation in the peace movement? They all just want an end to the war, right? There may be some variation in how long they're willing to maintain a US presence in Iraq, but basically they're all on the same page. The "Truth" movement isn't even in the same book. Some truthers are all ecstatic over a letter from the National Institute of Standards and Technology posted at the George Washington Blog. Well, yes! That's exactly the point the petitioners are trying to make. No modern steel frame high-rise building has ever collapsed before or after 9/11 due to fire other than at WTC 1, 2 and 7, even though other fires have burned longer and hotter. And even if they somehow did start to collapse, the collapse would not have occurred at virtual free-fall speeds while creating enormous dust clouds right from the start. F. The Goal of the WTC Report and Its Overall Analysis. The final section of your request asserts that the WTC Report's stated goal and overal analysis violates the Data Quality Act and OMB/NIST Information Quality Standards. The basis given for this assertion is that NIST did not fulfill its responsibilities under the NCST Act because the focus of the investigation was on the sequence of events from the instant of aircraft impact to the initiation of collapse for each tower. The NCST Act, as you note in your letter, requires NIST to "establish the likely technical cause or causes of the building failure." In the case of the WTC Towers, NIST has established that the failures initiated in the floors affected by the aircraft impact damage and the ensuing fires resulted in the collapse of the towers. This conclusion is supported by a large body of visual evidence collected by NIST. Your letter suggests that NIST should have used computer models to analyze the collapse of the towers. NIST carried its analysis to the point where the buildings reached global instability. At this point, because of the magnitude of the deflections and the number of failures occuring, the computer models are not able to converge on a solution. Your letter contends that NIST's report violates the Information Quality Standard of "utility." NIST believes that the report has utility. In fact, the codes and standards bodies are already taking actions to improve building and fire codes and standards based on the findings of the WTC Investigation. As we mentioned previously, we are unable to provide a full explanation- of the total collapse. In a letter that basically says "You're a bunch of retards." NIST responds to Steven Jones and others. "In your letter, you assert that..."
"At every step of its analysis, NIST was able to validate the analytical results against the extensive collection of photographic and video evidence recorded on September 11." The full analysis of the more severe case is therefore based on a logical reduction in the full analysis tree through an orthogonal factorial design approach and through validation by comparison to the observable data. "As we mentioned previously, we are unable to provide a full explanation of the total collapse." Translation: Once they started to fall, they were going to fall, and so much is going on at that point that even a computer can't handle all the data. Each posting will include a summary of the evidence that the individual whose address has been posted has seriously abused his or her power over others, along with the home address and a call to nonviolently picket that address. While WHERETHEYLIVE.ORG will attempt to publish accurate information, we cannot guarantee against occasional mistakes. Posted power-abusers should be viewed as suspects who are considered innocent of specific crimes or cases of abuse until proven guilty—that is why we are shaming them nonviolently, rather than bringing in the law to lock them up. In many cases, these individuals should be charged with crimes, but cannot be due to pervasive power imbalances in the legal system. It is hoped that WHERETHEYLIVE.ORG will contribute to redressing these power imbalances, and gradually become less necessary than it is now. Of course since no two truthers can agree on anything, they couldn't even get their kangaroo court grand jury to agree on indictments, I am sure their "evidence" will be iron clad. Final Cut: It's a Wrap! The waiting is over. Now the waiting can begin. ETA: Whoops! This might require a little more editing. The Fire Department moved to dismiss 17-year firefighter John Schroeder because he tested positive for cocaine three years ago -- but administrative law Judge Kevin Casey says that such a move, which would cost Schroeder his pension benefits, is "unduly harsh." Update: Link fixed for Schroeder/cocaine story. It's fair to say that this story is irrelevant, but that's because his contribution to the 9-11 conspiracy fantasy is negligible. Senator Norm Coleman: WTC-7 Lunacy is "Black Helicopter Stuff"
Good job by the senator from Minnesota. Oh, so the skeptic can stack the train cars atop each other? Troy seems to enjoy doing these and I certainly enjoyed watching them. While certain to be inaccurate due to methodology, and invalid due to its inherent assumptions, the results of the survey may still affect those who self-identify as "truth movement members" by either reinforcing or discouraging opinions they already hold. This will favor group-think over critical assessment of one's own chosen facts and opinions. Are we genuine skeptics or followers? Are we activists or navel-gazers? Effective is of course a very subjective word, especially in this context. It's like asking a creationist who's the best at arguing the evolution side. Instead of taking a whole day off, let's take 5 minutes off. Almost everyone can sneak away from work for 5 minutes. Everyone can stop shopping for 5 minutes. Many students can make an excuse and get away from their class for 5 minutes. If, instead of a couple of thousand people engaging in a general strike, we can get a lot of people to take 5 minutes off, it will send a clear message to the wanna-be emperors in Washington, D.C. and elsewhere that we're here, we're awake, and we know that we have the power to shut down the whole economic, social and political machine if we want. I propose every Tuesday at 10:03 a.m. local time. Why 10:03? That is the time that the 9/11 attacks ended, and the last hijacked plane crashed, according to the 9/11 Commission. Because many of our freedoms have been taken away since the horrible attacks of 9/11, and two wars (and counting) waged based upon 9/11, and because numerous highly-credible people question the 9/11 Commission's findings, the Tuesday at 10:03 a.m. time is appropriate. So take 5 minutes once a week to walk out of work or school (and don't buy anything for those 5 minutes). EVERYONE can spare 5 minutes. And if enough of us do it, we will send a message loud enough to be heard by the powers-that-be. Yeah, that will bring down the system! But instead of 5 minutes, I suggest 5 seconds. Or better still, five milliseconds! Everybody can spare that much time! Of Willie Rodriguez and Kevin McPadden get a workout in this excellent new video. Hat Tip: Markyx at JREF. In D9D, however, I pointed out that already in 1999, Washington Times journalist William Arkin reported witnessing a demonstration in which the voices of Generals Carl Steiner and Colin Powell were perfectly duplicated. I also reported an advertisement for a voice changer said to be good enough for people to fool their spouses. I am not sure, therefore, why Kornkven considers implausible the suggestion that Deena Burnett was fooled four times. Can I change my voice? FoneFaker allows you to select either a Male or Female voice when making a call. The feature works in real-time and allows the caller to speak in a normal tone - the person on the other end of the line will hear the changed voice. What Griffin is lying about though, is that the voice changer does not disguise your voice as someone in particular, but just makes your voice unidentifiable. It does not allow someone else to fool your spouse into thinking they are you, it just makes it so you can call your spouse and they can't tell who it is (at least that is what they claim). This is a rather trivial feature that has been available in children's toys for years. As far as the Washington Post article, the scientist behind that device has specifically commented that his device could not be used as implied, for starters it was based off a recording. What is next, is he going to start arguing for the Star Wars Death Beam theory based off of a laser pointer he saw in the Sharper Image catalog? Lynn's kind of a batting practice "Truther"; note that one of her factoids is "six hijackers are still alive." I had a long discussion with her at the 9-11 Denial of Accountability Conference. She says she's seen ten miracles in her life; if Jane Harman pushes ahead with impeachment that will be eleven. But of course by bringing this up, the Troofers are just going to infuriate powerful people. And an obvious question for Lynn: Have you informed the President, a federal judge or state governor or judge? Now this is really offensive stuff from the supposed kindly old man of 9-11 "Truth". Hey, you know what, David? Screw you! Questioning Tom Burnett's decision not to talk to his children when he is in the middle of the most stressful situation in his life is patently offensive. This is not freaking Hollywood where he had plenty of time to say goodbye, he was about to risk his life to save it. How dare you question that decision? Tom Burnett is a national hero. David Ray Griffin is a national disgrace.